Nodding Wild Onion (Allium cernuum). 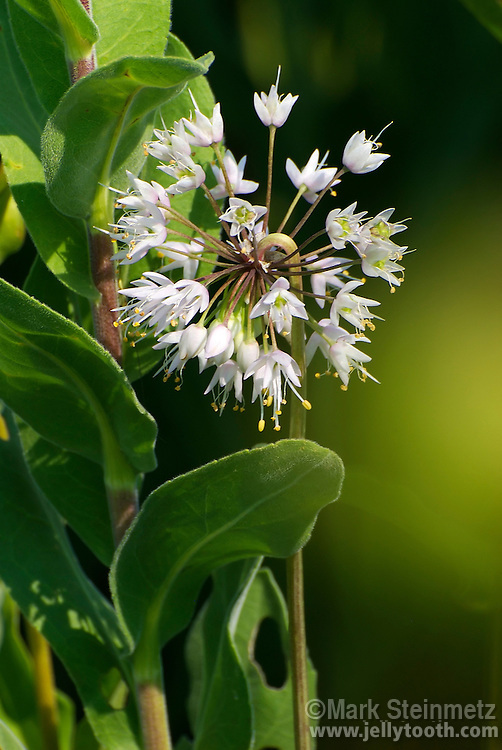 This wild onion is native to North American and is often associated with prairies, open woodlands, and rock outcroppings. Stalk is conspicously "drooping" or "nodding" just before the flowering umbel. It's bulb is edible.